Built tough, inside and out. 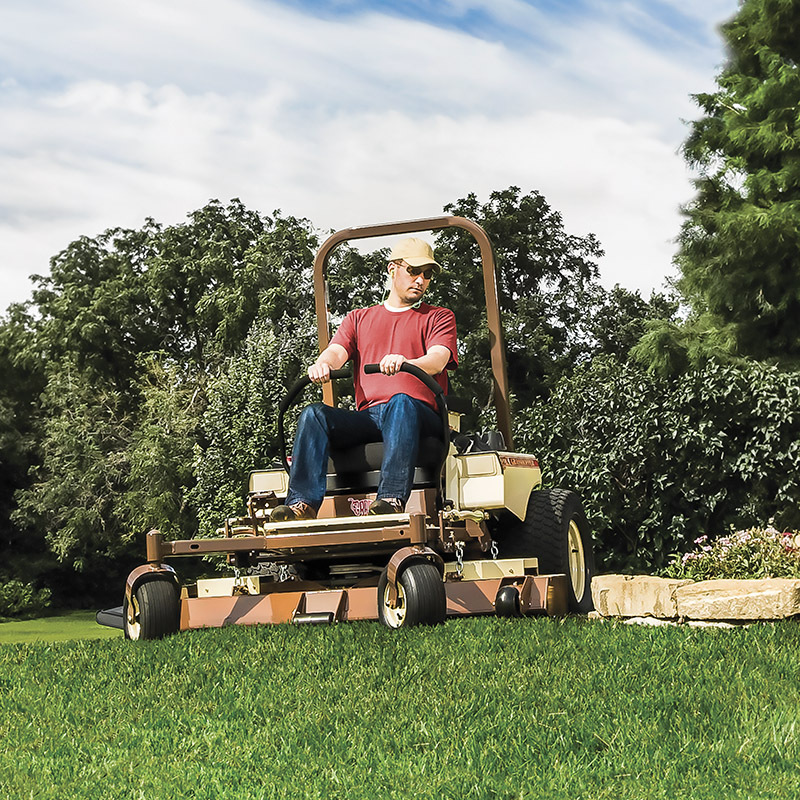 Harsh elements and punishing conditions can take their toll on any mower. That's why we build our zero-turn mowers for strength and durability, while minimizing weight for superior agility and a light footprint. We start with a precision, robotically welded, high-grade steel tubular exoSkeletal™ frame with I-beam reinforcement, then add durable, design-matched components that will ensure years of rugged use. Our attention to detail even extends to a fusion-bonded, chip- and rust-resistant powder-coat finish that will keep your Grasshopper mower looking like new for years to come. The industry's toughest cutting decks. As a key element in getting a great cut, we've spent years perfecting our cutting decks to achieve superior airflow for a great cut. Yet, knowing that durability is just as important, we didn't settle for the flimsy, stamped steel deck construction you'll find on many competitive mowers. Anvil-edged DuraMax® decks get their geometric strength from a combination of heavy-gauge, formed steel construction and a 1/2-inch-thick reinforced, angled leading edge. 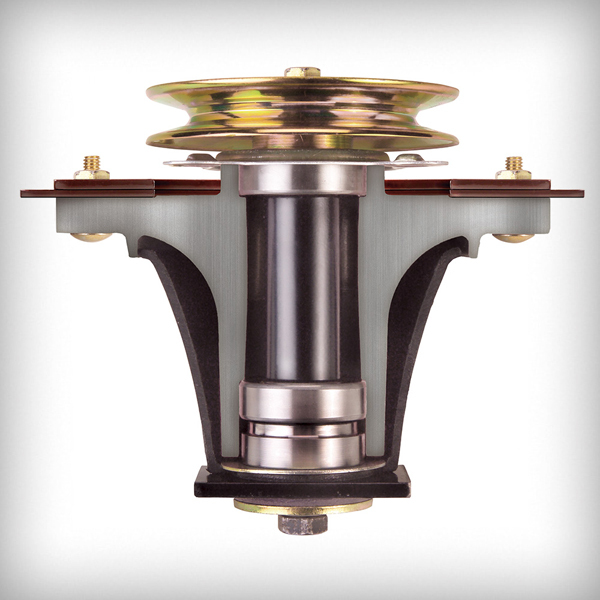 Massive 8-inch spindle flanges anchored to double layers of robotically welded formed steel in a 6-bolt pattern spread the force of impact for greater strength in commercial applications. Triple strength decks are nearly 1 inch thick in stress zones with durable Sentry™ spindles mounted on spindle planes that are more than 25% thicker than ¼ inch. Spindle guards shield the housing and seal lower bearings from grass wrap and dirt ingestion. High-impact, high-rotational-speed bearings with durable seals extend spindle life. Our GrassMax™ blade system optimizes mowing results with high-strength, tempered steel blades that cut close to deck edges to help eliminate secondary trimming. 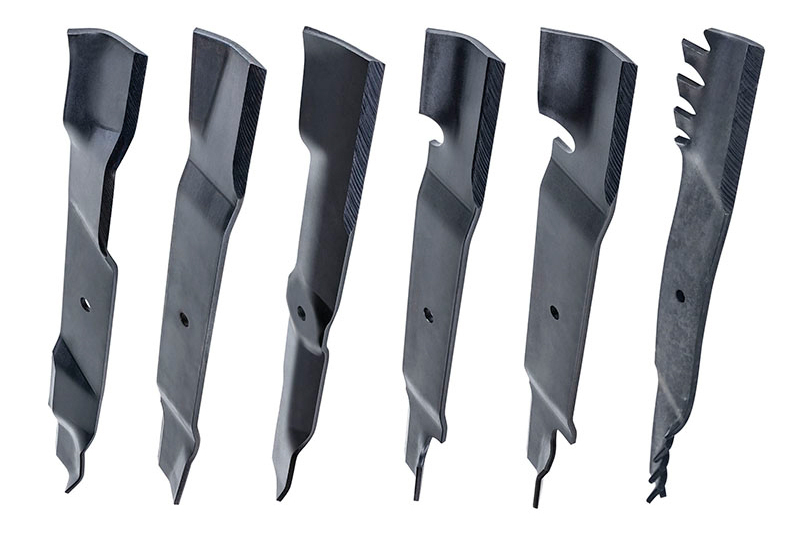 Choose from a range of specialty blades to suit your application and provide the best quality of cut in any conditions. A spring-tensioned idler arm system transfers power in a flat plane to specially designed Kevlar® cord belts with large idlers to extend belt life. Optional heavy-duty Speed-Trimming™ roller kit for 52-, 61- and 72-inch DuraMax® decks speeds close trimming near buildings, fences and other obstacles while reducing secondary trimming. Flexible discharge shields fold on impact. 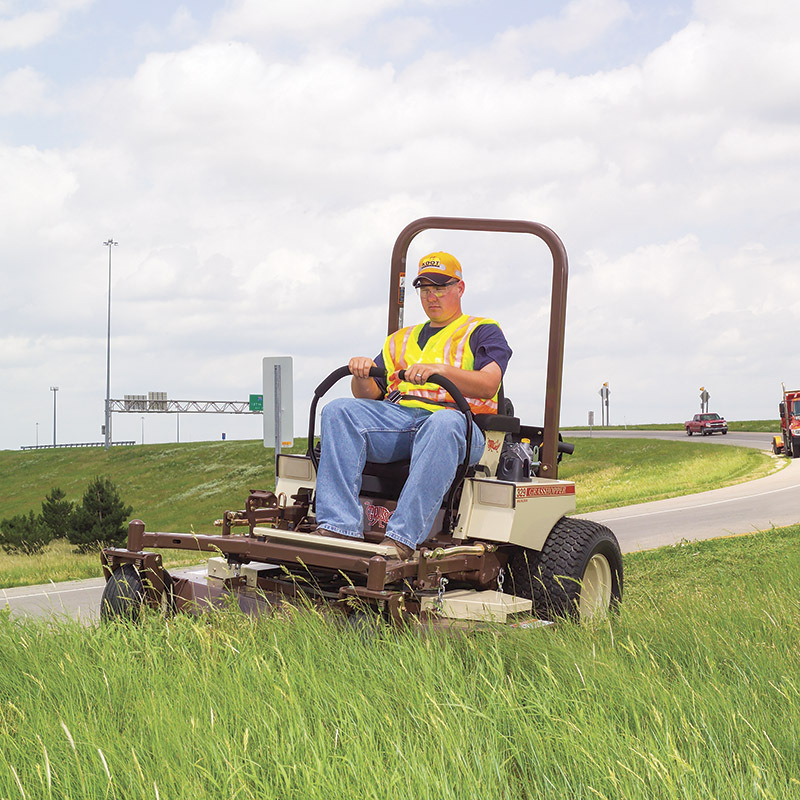 MidMount™ Zero-turn Mower — A four-wheel power unit with the cutting deck mounted under the operator's seating position and forward of the engine. The operator rides above the cutting deck. 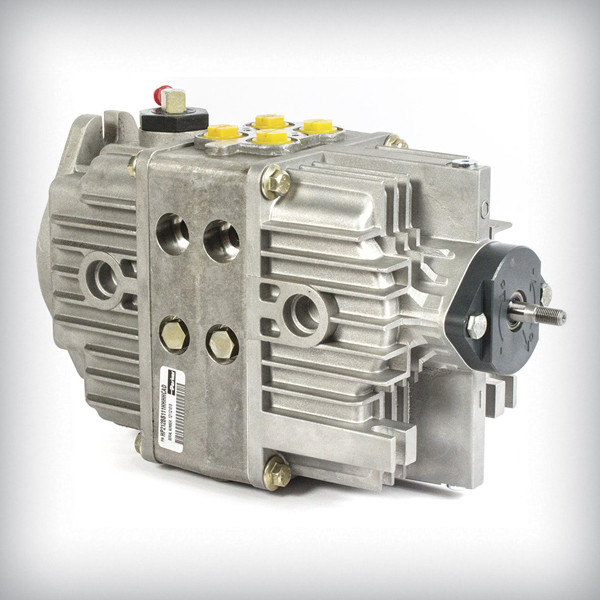 Design-Matched Drive Systems — Powerful, design-matched transmission systems use quality pumps and wheel motors chosen to work together, to run cooler and more reliably for longer service life and lower overall cost of ownership. CoolFan™ Cooling System — Each transmission pump features an auxiliary cooling fan to provide a cooler operating environment, extended service intervals and longer transmission life. SmartFrame™ Construction and InFrame™ Suspension — Modular 3-piece SmartFrame™ construction provides flexible durability, dampens vibration and shock, and provides a smoother ride. InFrame™ suspension with strategically placed iso-mounts increases productivity by smoothing out the ride and decreasing operator fatigue. Space-age synthetics serve as shock absorbers in strategic locations to reduce vibrations and operator fatigue. Optional DuraFlex™ Suspension Forks — Optional DuraFlex™ Suspension Forks absorb impacts of rough terrain to maintain a level cut, and can be set for use with PowerVac™ collectors. 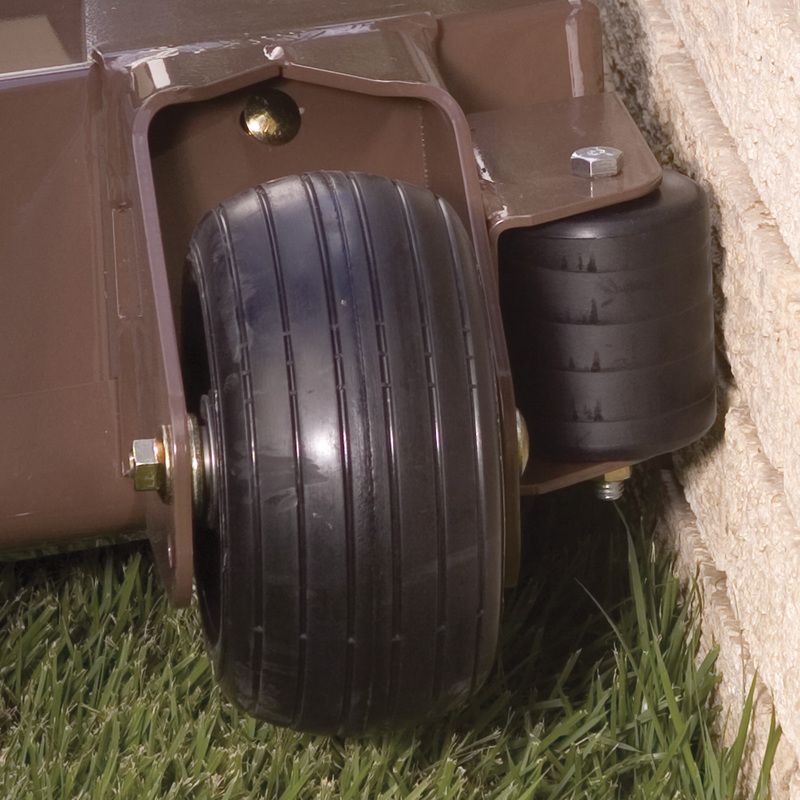 DuraGuard™ Bumper — DuraGuard™ bumper protects rear of mower while preserving easy access for removal of the rear service shield. 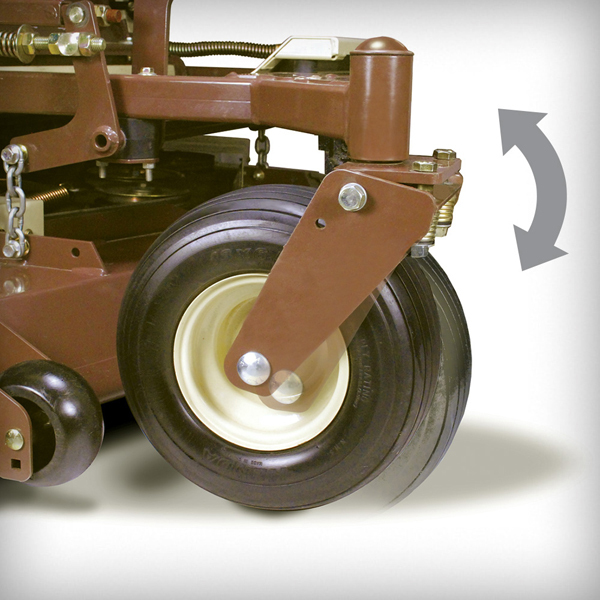 Fixed-front axle design and standard anti-scalp rollers help eliminate scalping. FrontMount™ Zero-turn Mower — A three- or four-wheel power unit with an out-front mower deck mounted forward of both the engine and the operator's seating position. The tail wheels are located at the rear of the unit. 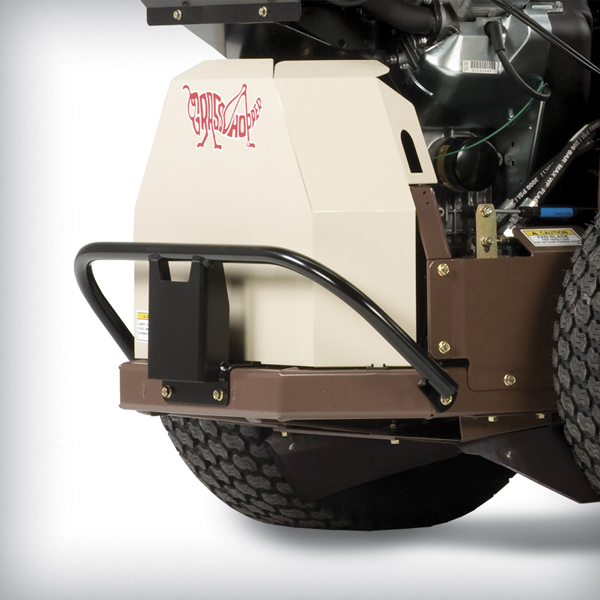 FrontMount™ decks follow ground contours without scalping, while superior airflow within the extra-deep cutting chambers enhances clipping dispersal and provides a smooth, even cut every time. 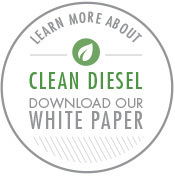 Design-Matched Drive Systems — Powerful, design-matched drive systems on 900 Series models use quality pumps and wheel motors chosen to work together, offering cooler and more reliable operation for longer service life and reduced cost of ownership. AntiVibe Power Platform® — Isolates the engine and T-Drive™/T6® drive trains from the operator platform, directing more power to the cutting deck or implement and providing an unprecedented vibration-free experience for the operator. MaxTrax® — MaxTrax® weight transfer system maintains traction so it holds its ground on uneven terrain. 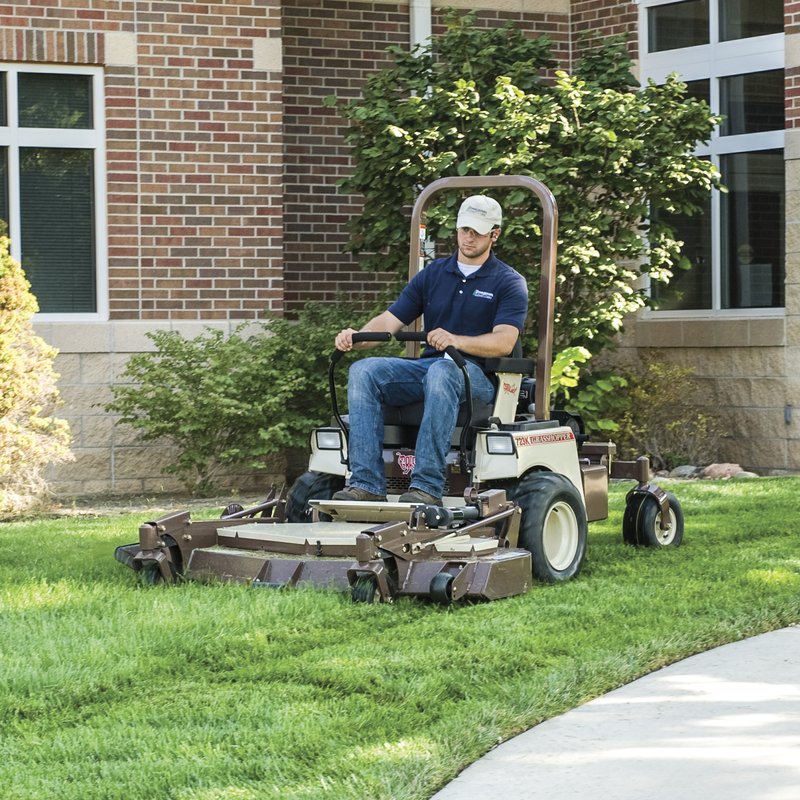 Balanced Weight Distribution — The mower's weight is distributed evenly across five or six wheels to provide a light footprint for a smooth ride and even cut.